See below for a Newport Stylephile posted originally published April 27, 2012. 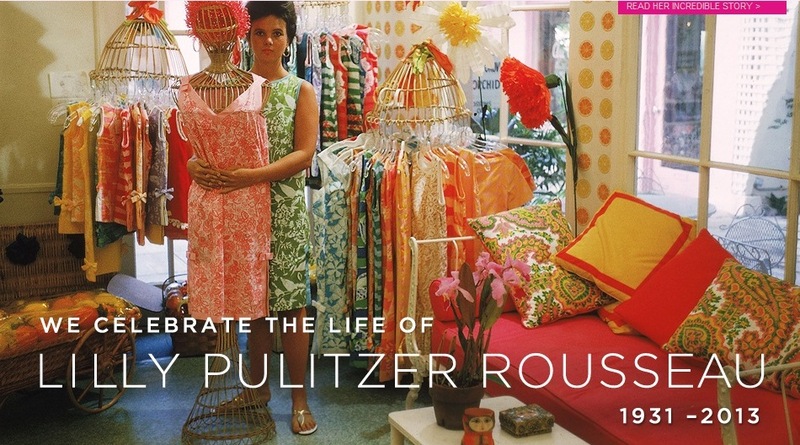 Lilly Pulitzer will never go out of style, but in Newport and Palm Beach, perhaps more than anywhere else, it’s a brand that’s embraced, synonymous with our City-by-the-Sea living. 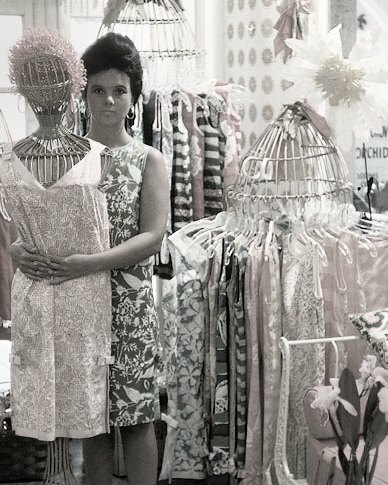 Launched by Lilly when she was just 21, the line of simple silhouetted colorful dresses was lovely, and though refreshingly vibrant, it wasn’t until Lilly’s schoolmate, a budding fashion icon by the name of Jacqueline Kennedy was photographed wearing a Lilly that the brand skyrocketed to national recognition. 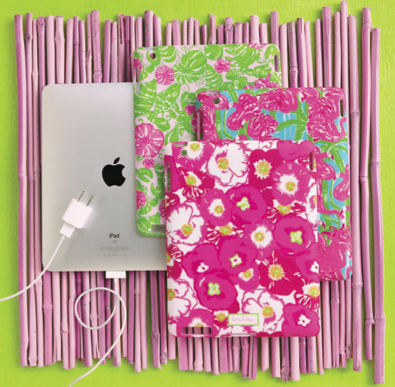 Though still pumping out simple, classic (read: covetable) sheaths, Lilly’s entered the 21st century with much have accessories including smartphone covers, tablet covers and a stationary suite I plan to let bloom in my office this spring . There’s also a full line of entertaining accessories like durable plates, napkins, koozies (at top) and wine glass tags (cheers! ), tumblers and serving pieces (acrylic and melamine, respectively, for practical outdoor use), most all of which can be found at Chace N’Lulu and online). ‘They’re just perfect for languishing on Second Beach on a sun-soaked summer day, or on a picnic cruise through Newport Harbor. Clink, clink!